Your boss doesn't need to know you frag bots (off hours, natch). Lenovo’s Legion Y530 and Legion Y7000 are gaming laptops with a new twist: subtlety. This isn’t a characteristic one normally associates with gamers, but it makes sense for more mainstream users who want a PC with that kind of power but don’t necessarily want to flaunt it. Your boss certainly doesn’t need to know you frag bots (after hours, natch). The Legion Y530 and the Legion 7000 will share the same basic internals (with some differences in a few options) and the same “Onyx Black” ABS plastic chassis. Their major differences are retail availability and lid design. The Lenovo Legion Y530 features a plastic lid with the logo stamped into the left side. The Legion Y530, a Best Buy exclusive that ships in June with a starting price of $930, will have an ABS plastic lid with the word “Legion” stamped into one side, and an exposed piano hinge (see above). 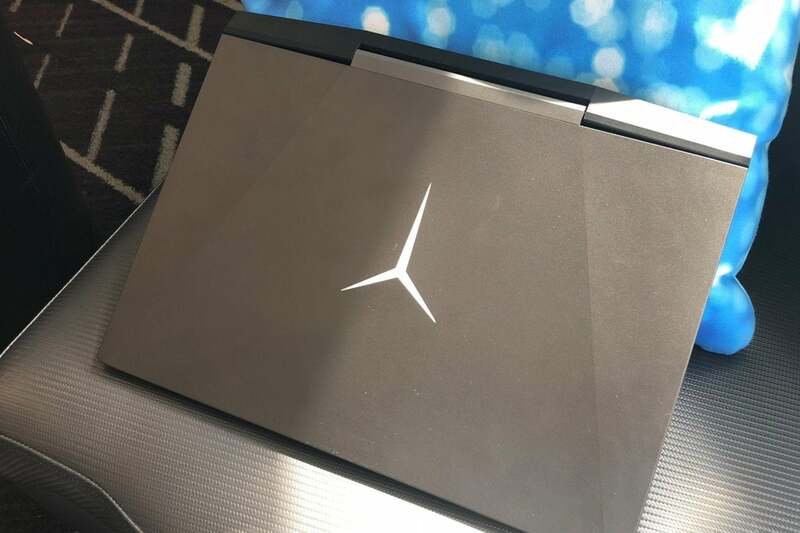 The Legion Y7000 (see lead article image), which will be available in August at all other retailers, will have an aluminum lid with a white-backlit “Y” Legion logo in the center, a covered hinge, and a starting price of $960. These laptops may be mass-market, but Lenovo is offering one more nice design element: thin bezels. Computer vendors have to design more strength into those slender sides to protect the display, but it’s worth it because it makes the laptop a little smaller—and you’re less distracted by blocky borders on either side of your view. 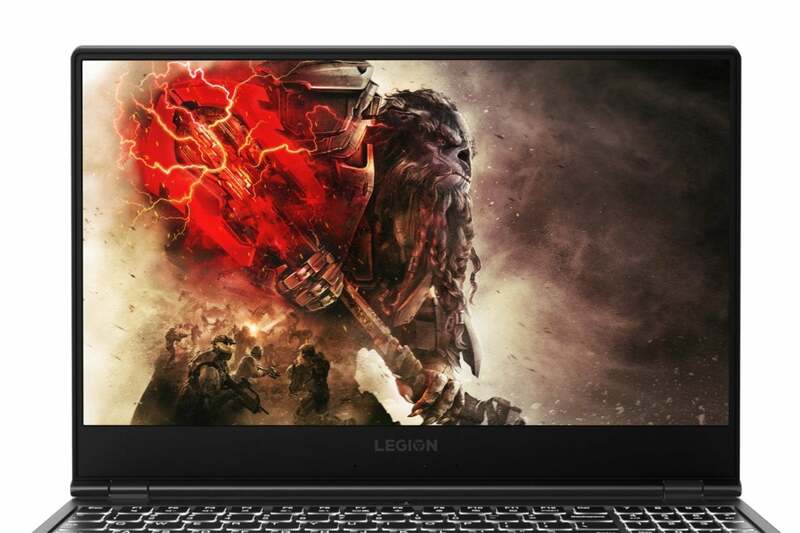 Do the thin bezels on the Lenovo Legion Y530 make other gaming laptops’ bezels look fat? Yes, they do. Display: Both will offer a choice of 15.6-inch FHD (1920x1080) anti-glare IPS with a maximum brightness of 300 nits, the choice being either 60Hz or 144Hz refresh rates. In addition, the Legion Y530 will offer a 60Hz panel with a maximum brightness of 250 nits. The latter option is likely there to provide that lower $930 starting price for Best Buy, but that 250-nit maximum brightness is on the low side and should be considered a compromise. Storage: Choices of 1TB, 7,200rpm or 2TB, 5,400rpm hard drives, or up to 512GB PCIe SSD. The Legion Y530 also offers a model with a 2TB hard drive that’s “Intel Optane Ready,” meaning you could add Optane Memory to boost its performance. Connectivity: Lenovo arrayed most of the ports on the back of the Legion Y530 and Legion 7000. On the back you’ll find (as seen in the photo below, left to right) USB-C, miniDisplayPort, USB 3.1 Type A, full HDMI, RJ-45 ethernet, the power port, and a lock port. On the left and right sides you’ll find second and third USB 3.1 type-A ports. The left side also has an audio jack. 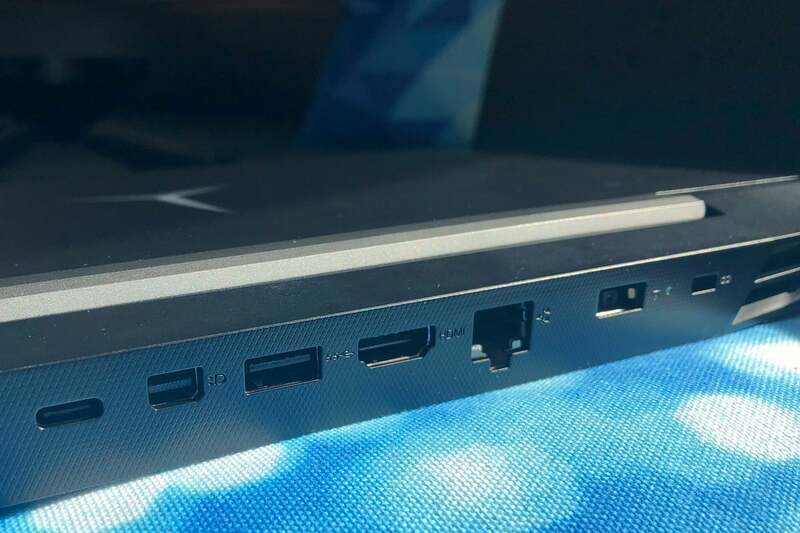 The Lenovo Legion Y700 arrays most of its ports along its rear edge, which can be more convenient if you have a lot of devices connected at once. Dimensions: Legion Y530: 14.37 x 10.24 x 0.94-0.95 inches. Legion Y7000: No dimensions given. 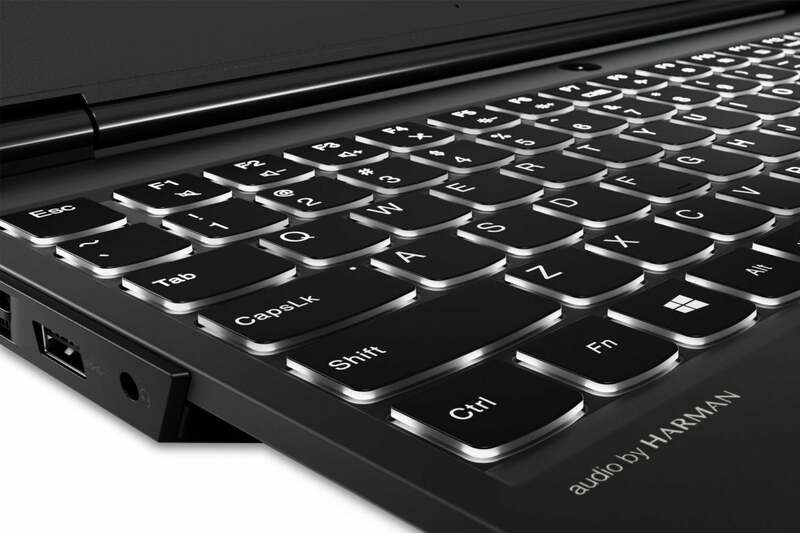 Lenovo’s Legion Y530 has a wihte-backlit keyboard (which the Lenovo Legion Y7000 shares). Another subtlety you’ll notice on the Legion Y530 and Legion Y7000 is the lack of colorful backlighting or lighting customization of any kind. Instead, only the keyboards will be backlit, in a classic white. Lenovo’s Legion Y530 and Legion Y7000’s lower-key designs are part of the changing face of gaming. As more people play PC games, the stereotypes are melting away, and the choices are broadening along with the demographics. These laptops will be sold at Best Buy, Wal-Mart, Target, and other mass-market outlets. What you can be sure of is careful balance of bang for buck, and more choices, which is always a good thing.